Tips from your Redding contractor to save you money. Bickley's Air Conditioning & Heating offers scheduled maintenance plans to keep your equipment tuned. 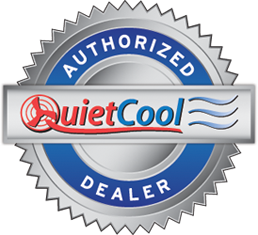 This helps prevent future problems, and unwanted costs in repair and the loss of cooling and heating efficiency. A programmable thermostat is ideal for people who are away from home during set periods of time throughout the week. Through proper use of pre-programmed settings, a programmable thermostat can save you money in energy costs. Ducts are used in most homes, and move air to-and-from a forced air system, and can be huge energy wasters. You don't want to invest in a new furnace, heat pump or air conditioner, only to have your ducts leaking out that conditioned air into the attic, and wasting your money. Sealing and insulating ductwork can improve the efficiency of your heating and air conditioning system by as much as 20 percent - and sometimes much more. If your furnace, air conditioner or heat pump is more than 10 years old, or not keeping your house comfortable, Bickley's Air Conditioning & Heating can evaluate it and provide you with information on the best route to take to more efficient air conditioning and heating. 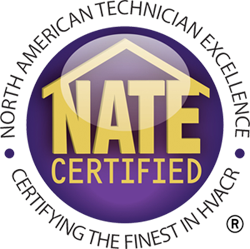 Each of our Redding customers have unique needs, and we take the required time to evaluate your situation in order to give you the best recommendations. Replacing your old system with new, energy efficient models is a great start. But to make sure that you get the best performance, the new equipment must be properly installed. In fact, improper installation can reduce system efficiency by up to 30 percent - costing you more on your utility bills and possibly shortening the equipment's life. As your trusted Redding HVAC contractor, we design and install systems to run efficiently and give you years of reliable service. Contact us today at 530-527-7188 if you have questions or need HVAC service in Redding or surrounding areas.